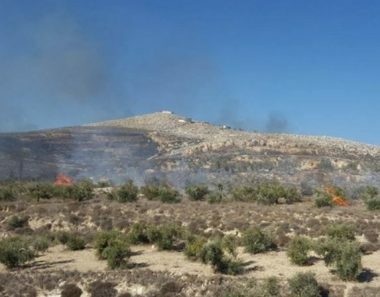 A group of extremist Israeli colonists burnt, Friday, Palestinian agricultural lands in Burin village, southwest of Nablus, in the northern part of the occupied West Bank, and attacked many villagers and firefighters. 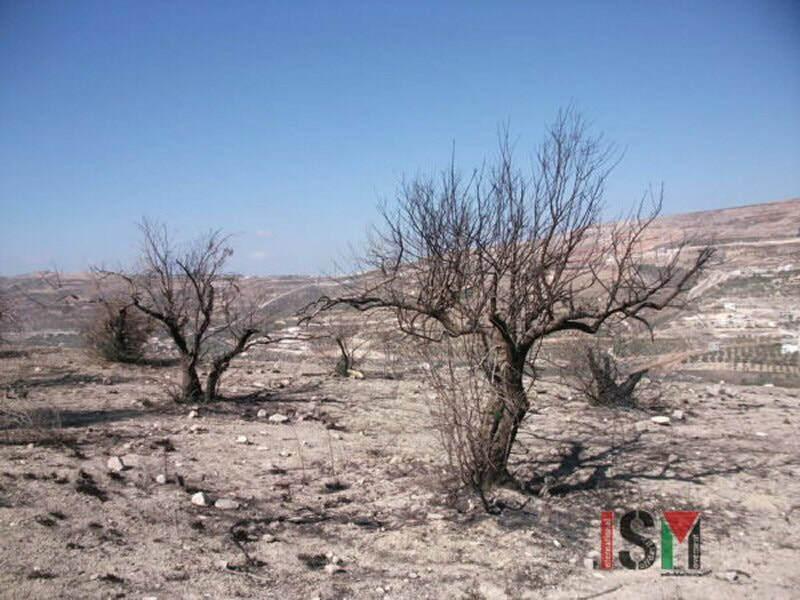 The Israeli assailants came from Yitzhar illegal colony, and nearby outposts, built on illegally confiscated Palestinian lands, and set fire to olive orchards in the area. The attackers also assaulted many villagers and firefighters, while trying to extinguish fires set in Palestinian lands close to Givat Ronin illegal colonialist outpost. The Palestinians eventually managed to remove the colonists and extinguish the fires. The Israeli government has reportedly informed the Palestinian residents of al-Walaja village, located in the southern occupied West Bank district of Bethlehem, just on the border of Israel’s Jerusalem municipality, that they are to be cut off from a large portion of their lands due to the relocation of a checkpoint in the area. Inside the land that is to be annexed, is the Ain al-Haniya spring, the second-largest spring in the occupied West Bank according to Haaretz. The spring is also one of the main water sources for the residents’ livestock to bathe and drink from, and also serves as a recreational spring for the people of the surrounding areas, who flock to the spring to picnic and swim. According to Haaretz, the Israel Antiquities Authority and Jerusalem Development Authority have already started renovation work at the spring and the surrounding areas, and plan on surrounding the spring with a fence, building a visitors center and a restaurant and turning it into one of the entrances to Jerusalem’s metropolitan park — a park where the residents of al-Walaja and Bethlehem would not be able to access without special permits. Haaretz further reported, according to Ma’an, that the resident of al-Walaja received letters telling them that the checkpoint will be moved closer to their village, some two and a half kilometers deeper into Palestinian territory from where it is currently located. 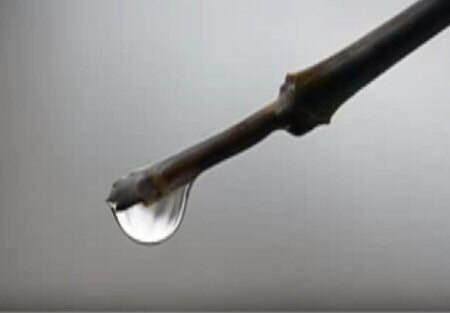 The villagers were reportedly given 15 days to appeal the decision. Once the checkpoint is relocated, Palestinians without Jerusalem resident papers or Israeli-issued visitor permits will not be allowed to pass through it and will be prevented from accessing the spring, fields, and farming terraces to which they have tended to for generations. “Ironically, the well-groomed, carefully tended terraces that al-Walaja’s residents have nurtured over the years were one of the reasons given by the Israeli authorities for setting up a park in the area,” Haaretz said. “That’s the rightist government’s vision: instead of peace and justice, fences and increasingly brutal oppression,” he said. The village of al-Walaja has long been the target of Israeli land confiscations and mass Israeli demolitions for the purpose of expanding Israel’s illegal settlements and advancing the construction of Israel’s separation wall — deemed illegal by the International Court of Justice in 2004. At the end of April, Israel resumed construction of the separation wall in the village after a three-year hiatus. Residents of al-Walaja lost over three-quarters of their lands since the state of Israel was established in 1948, when most of the village’s residents became refugees. During Israel’s military takeover of East Jerusalem and the West Bank in 1967, 50 percent of al-Walaja’s lands were annexed to the Jerusalem municipality. Meanwhile, Israel’s separation wall encircles al-Walaja, and swathes of land have been re-appropriated by the Israeli government for the construction and expansion of the illegal Israeli settlements of Gilo, Har Gilo, and Givat Yael. Despite having spent 30 years of his life working as a carpenter in Israel, and the past 17 years as a farmer in the southern part of occupied West Bank, Mohammad Issa Salah, 70, still finds himself struggling to make ends meet. “Here, the cost of living is like Europe, but the wages are like Africa,” the elderly Palestinian from the village of al-Khader tells Equal Times, in what little English he remembers from school. The old man’s situation is hardly an exception. With a quarter of Palestinians living under the poverty line, and a similar unemployment rate, Palestinians have struggled for decades to make a living and assert their rights in the workplace. During the past 50 years, the Israeli occupation of the West Bank, East Jerusalem and the Gaza Strip has unequivocally affected working conditions for Palestinians. At the same time, unions have struggled to rise above political divides to make concrete strides to protect Palestinian workers’ rights. “The land isn’t the only thing that is occupied – so is the Palestinian economy,” says Matthew Vickery, the author of Employing the Enemy: The Story of Palestinian Labourers on Israeli Settlements. The hundreds of thousands of Palestinians who found themselves under Israeli military control in 1967 quickly became a source of blue-collar labour for the Israeli economy, performing jobs that few Israelis were willing to do, for far less money and far fewer legal protections. Meanwhile, the signature of the Protocol on Economic Relations, also known as the Paris Protocol, by Israel and the Palestine Liberation Organisation (PLO) in 1994 “cemented” the Palestinian economy’s dependence on Israel, Vickery writes. The protocol notably imposed the use of Israeli currency in the occupied territory, and left Palestinian imports and exports under de facto Israeli control, while allowing Israel to veto requests from the Palestinian Authority (PA) deemed not economically beneficial to the occupying power. During the Second Intifada (2000-2005), Israeli authorities began severely restricting Palestinian workers’ access to Israel. While Salah remembers being able to drive directly to Israel in a Palestinian-plated car, workers now need to apply for permits and spend hours crossing checkpoints on foot. Raed, a Palestinian construction worker from the Bethlehem area who requested anonymity, tells Equal Times that he worked illegally in Israel for more than a decade, unable to afford the cost of a work permit yet desperate to earn a living given the lack of opportunities in the West Bank. “For more than ten years, I always had a feeling of fear, worry, and stress, which reached the point of depression,” Raed says, recalling the anxiety of crossing the Green Line without being caught by the army, or sleeping fitfully at construction sites, fearing police raids. Meanwhile, an estimated 36,000 Palestinians work in illegal Israeli settlements – a taboo for many in Palestinian society, who perceive these workers as contributing to Israeli colonisation efforts. When asked why they worked in Israel instead of the West Bank, both Salah and Raed say they have no other choice given the dire economic situation in the Palestinian territory. During the half-century he spent in the workforce, Salah says that he had “no encounter” with trade unions. His experience echoed that of many Palestinian workers. A 2013 report by the Arab World for Research and Development [PDF] (AWRAD) states that 85 per cent of workers have not been “exposed” to trade unions, and that 43 per cent do not trust Palestinian unions. A weakened workers’ movementWhile trade unions first emerged in Palestine in the 1920s, the movement was severely weakened following the creation of the state of Israel in 1948, as many union leaders were exiled to neighbouring countries, or living under Jordanian rule in the West Bank, which repressed labour movements. From the Six-Day War to the First Intifada, during the first two-and-a-half decades of the occupation, Israel also cracked down on unionists. The establishment of the Palestinian Authority in the wake of the 1993 Oslo Accords, followed by the establishment of the PGFTU, which is affiliated with the International Trade Union Confederation (ITUC), was a hopeful moment for labour rights activists. Palestinians finally had an opportunity to establish labour laws of their own, instead of being simultaneously subjected to Ottoman rule, British Mandate, Jordan, Egyptian, and Israeli legislation. But while the PA passed a labour law in 2000, followed by legislation establishing social security in 2003, minimum wages in 2012, and a non-state pension system in 2014, Foqahaa admits that enforcement is a huge issue. Foqahaa says that the minimum wage – a paltry 1,450 shekels (approximately US$414) a month while the poverty line in the occupied Palestinian territories stands at 2,293 shekels (US$655) – and the labour law itself were only implemented in 50 per cent or less of cases. Foqohaa says that the lack of mechanisms to punish employers violating the laws plays a large role in the crisis. The ILO reported that the PA had 57 official labour inspectors in 2017 – a paltry number given the estimated 745,000 Palestinians working in the West Bank outside of Israeli settlements, according to Palestinian Central Bureau of Statistics [PDF] data. According to the AWRAD report, 46 per cent of Palestinian workers say they are not aware of their rights. In addition, the 27 per cent rate of unemployment – which reaches as much as 41 per cent in the besieged Gaza Strip – also discourages workers from asserting themselves in the workplace. With such high unemployment rates, workers know they can be fired and easily replaced if they dare to speak out. “The main problem we are facing is that the Palestinian government doesn’t have any strategic plan for social or economic issues,” Foqahaa says. While the PGFTU member mainly faults the PA for not making workers’ rights a priority, he condemns Palestinian trade unions for failing to uphold their responsibilities vis-a-vis Palestinian workers. “We create many committees, hold many meetings, many workshops, but on the ground, nothing is implemented,” Foqahaa adds. Foqahaa believes that the heavy influence of different political parties over the various unions has effectively made the federations – which include organisations such as the General Union of Palestinian Workers, linked to the PLO – lose sight of their raison d’être. He alleges that each of the five main Palestinian union federations at a national level are affiliated to separate parties – with the PGFTU itself tied to Fatah, the ruling party of the increasingly unpopular PA.
“We are not allowed to hold meetings, to take decisions, without the political parties,” says Foqahaa, adding that Palestinian trade unions needed to rise above political divisions to effectively advocate for workers. The ministry also simply describes the relationship between the PA and trade unions as an “integrative relationship and partnership” to establish new laws regulating working conditions in the West Bank. But back in the village of al-Khader, Salah says he is pessimistic for the future so long as Palestinian authorities remain unconcerned by the fate of the Palestinian working class. 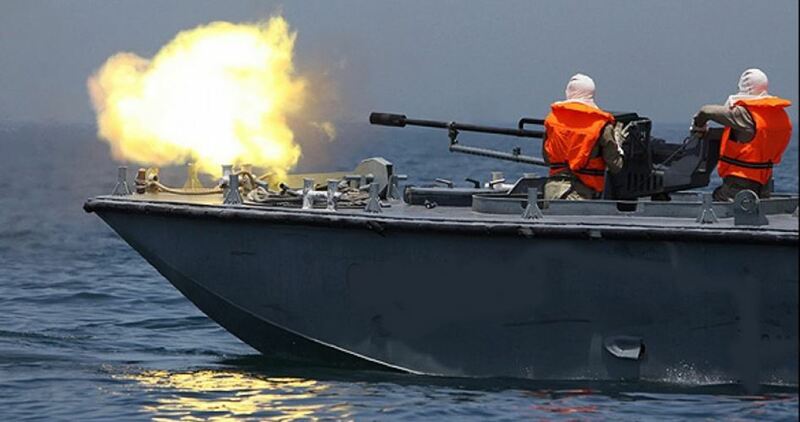 Israeli gunboats on Thursday morning opened machinegun fire at Palestinian fishermen and their boats off the northwestern shores of Gaza City. Local sources reported that Israeli gunboats randomly opened fire around fishing boats and chased them off the coast of al-Sudaniya area west of Gaza City. Luckily, no one was injured in the shooting attack, but the intensity of gunfire forced all fishermen to stop working and go ashore. Israeli gunboats are around Gaza fishermen almost every day, harassing them, shooting at them, damaging their boats, and making arrests. Sometimes fishermen are injured or killed during gunfire attacks. Under the 1993 Oslo accords, Palestinian fishermen are permitted to fish up to 20 nautical miles off the coast of Gaza. Over the past 18 years, however, Israel has reduced the fishing area gradually to a limit of three nautical miles as part of its blockade on Gaza. But fishermen and human rights groups say that, since the 2008-09 war in Gaza, the Israeli navy has been regularly enforcing a limit even closer to the shore. creation and steady expansion of the Israeli settlement Yitzhar, violent settlers do anything they can to harm the Palestinian farmers and families, without any risk of being punished for these crimes. Palestinians in the village of Deir Nitham, near Ramallah in the central West Bank, have been unable to leave their village since Monday, when Israeli forces closed the gate through the Wall that allowed villagers to access the rest of the world. Now, the entire population of the village has been imprisoned, sealed off from any access to schools, hospitals, stores and work, since the Israeli military decided to punish the village in retaliation for alleged stone-throwing by some village youth. Deir Nitham is located in between areas that Israel is attempting to annex to Greater Jerusalem and the rest of the West Bank, so the Israeli government constructed the Annexation Wall around the village, only allowing villagers in and out at certain times. According to the Israeli military, the village was sealed because of stone-throwing by youth from the village towards a road used by Israeli settlers to access their housing development, constructed on what used to be village land. The Israeli Jewish-only settlement was constructed on land that was confiscated by the Israeli military for ‘security purposes’, then turned over to private Israeli developers to transfer Israeli civilians onto the land. According to villagers, since the town was sealed off, Israeli soldiers have entered and raided homes, as well as patrolling the streets of the village and telling villagers they are there to “protect the Israeli settlers” from stone throwing. The United Nations has repeatedly condemned this ghettoization of towns like Deir Nitham, and the sealing of entire villages, as a form of ‘collective punishment’ which is a direct violation of Israel’s responsibilities as an occupying power under the Fourth Geneva Convention.